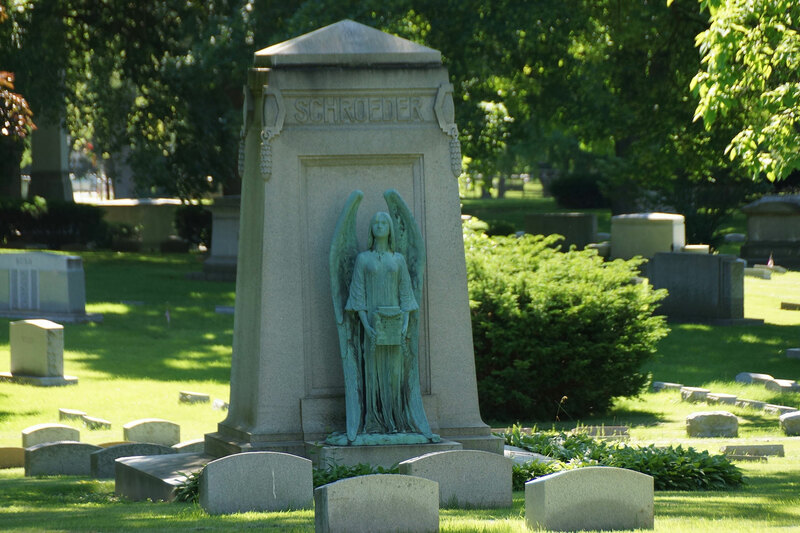 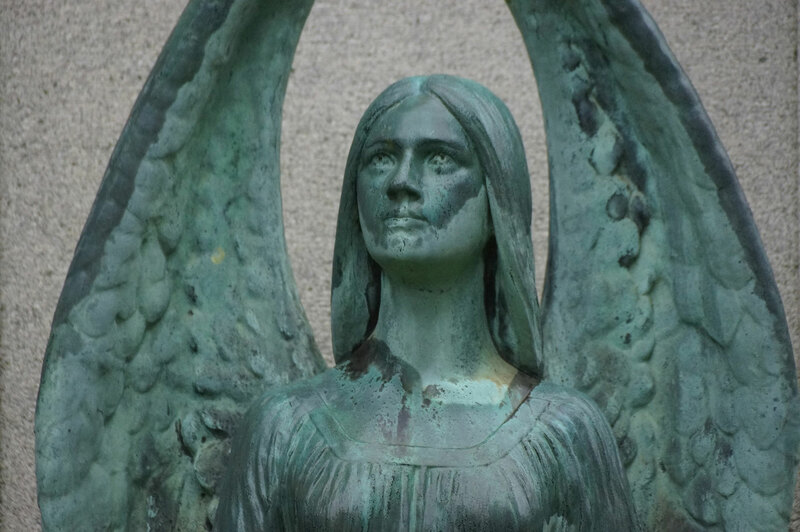 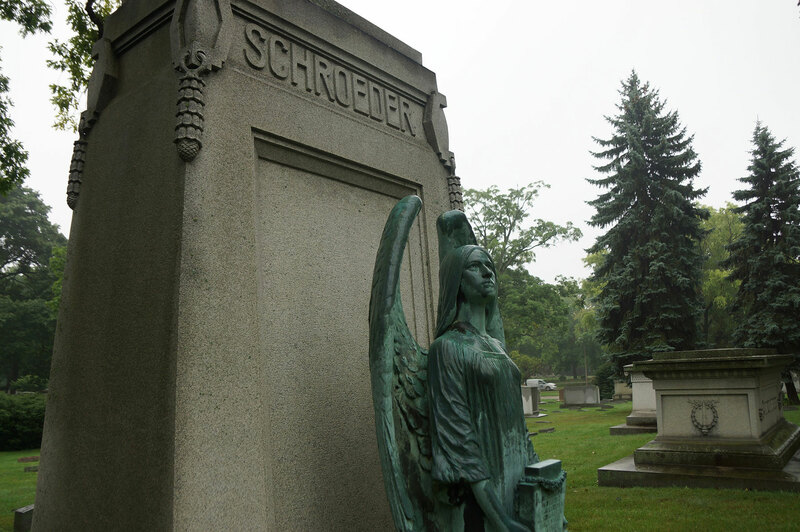 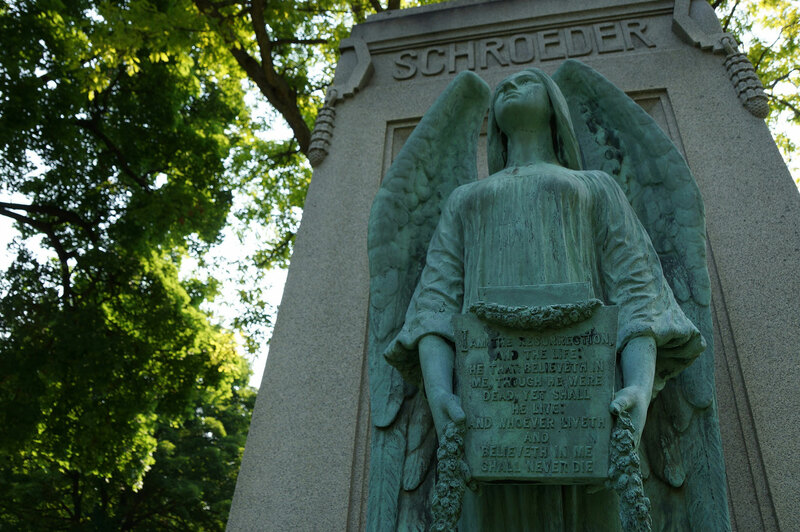 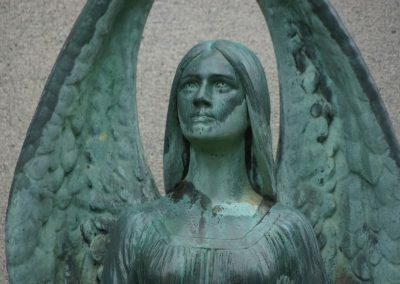 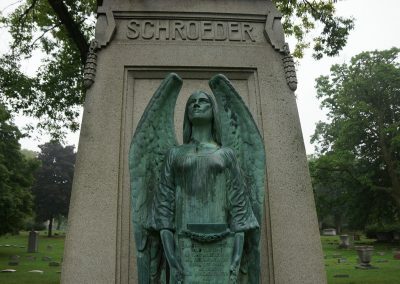 The 6-foot tall bronze statue depicting an angel was stolen from the Schroeder family plot at Forest Home Cemetery, near 27th Street and Forest Home Avenue, sometime between August 18 and 27. 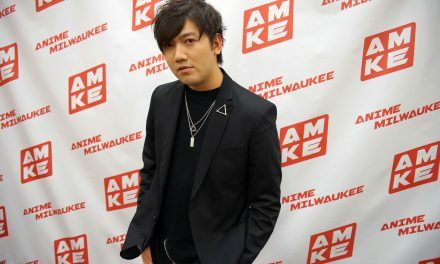 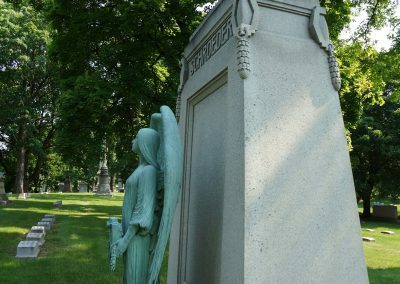 The Milwaukee Police Department is asking the local community for assistance to identify the individual or group involved with the heist of the historic and very personal monument. 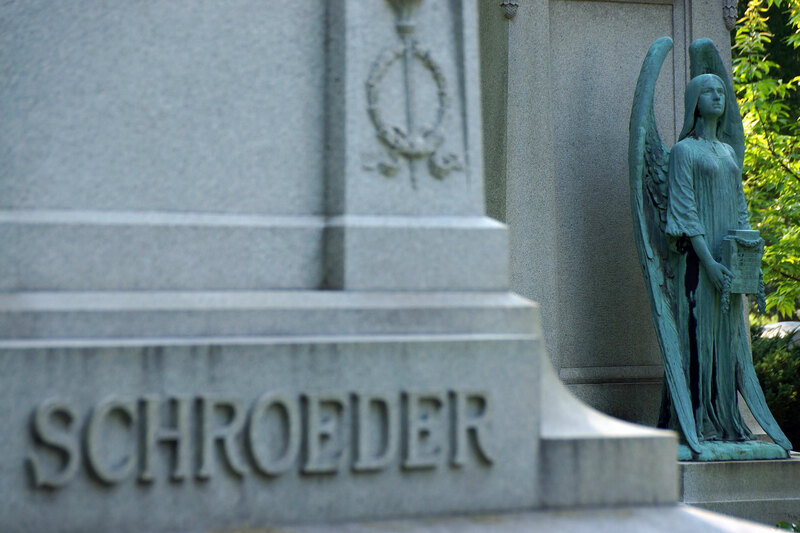 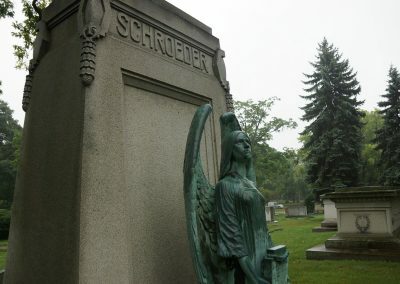 The angel, one of several others in Section 33 of Forest Home, stood watch for decades over the interred members of the Schroeder family. 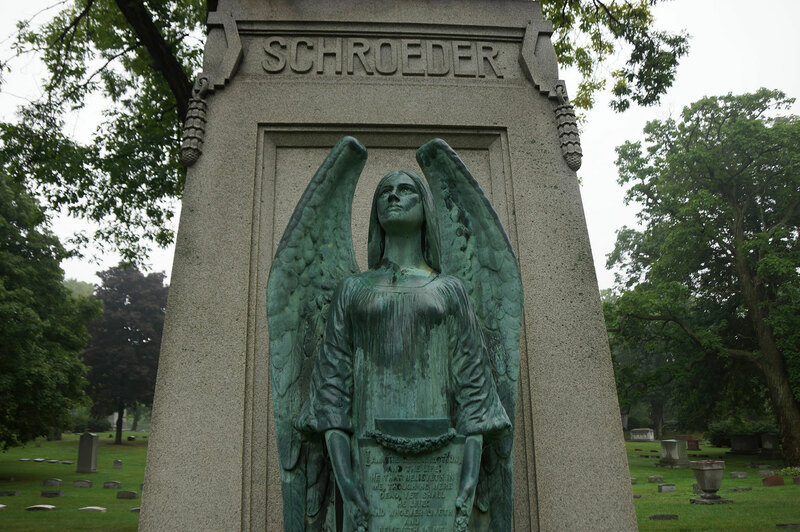 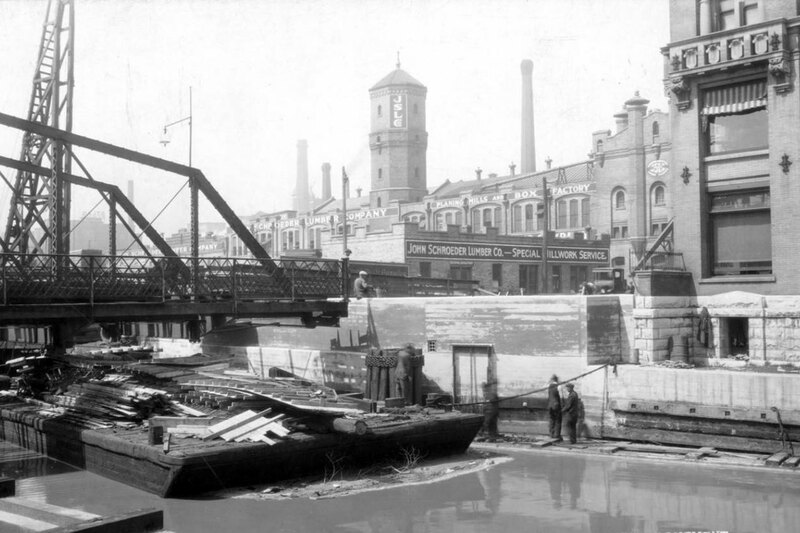 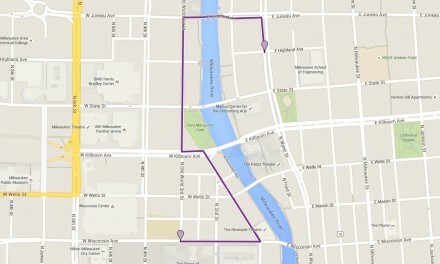 The patriarch of the family was John Schroeder (1827 to 1908), who came to Milwaukee in 1846. 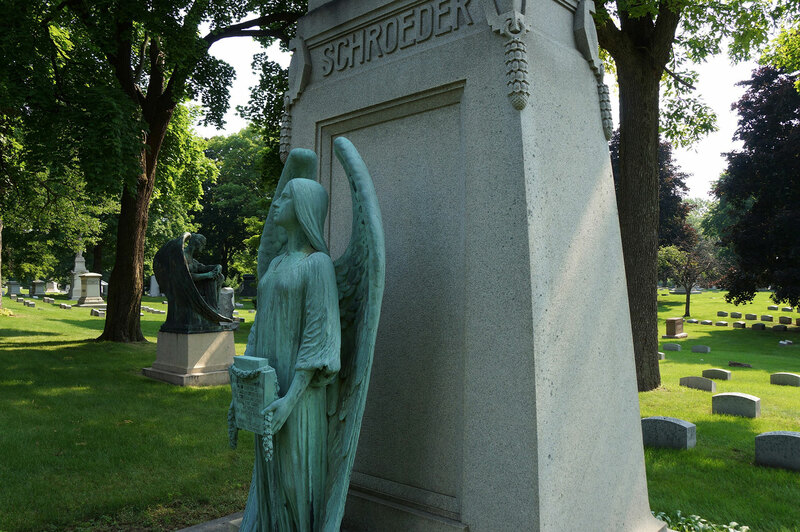 A native of Hanover, Germany, Schroeder started the John Schroeder Lumber Company in 1866, which was the largest in Wisconsin in its day. 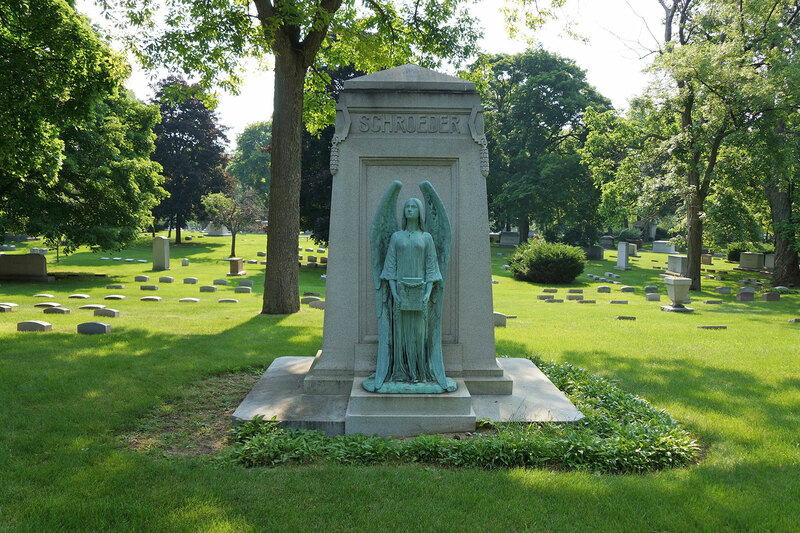 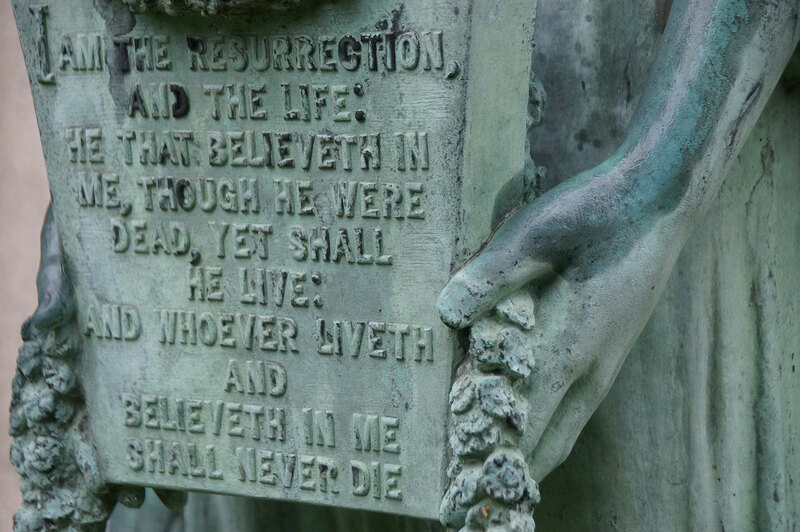 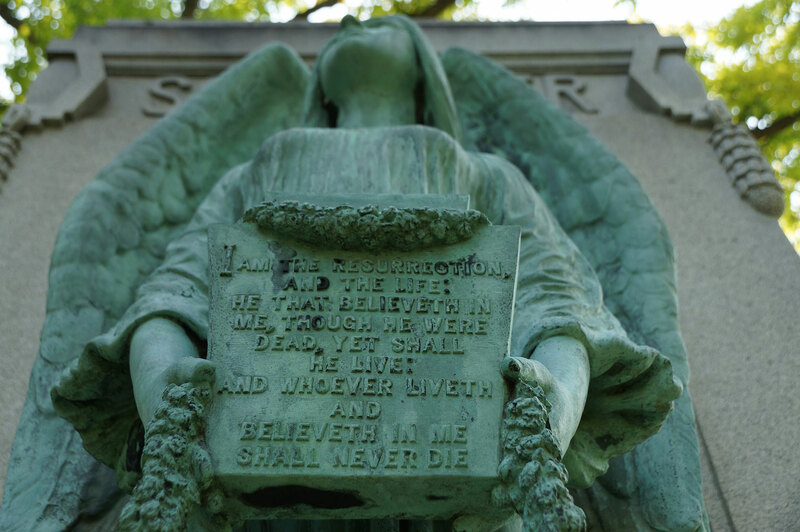 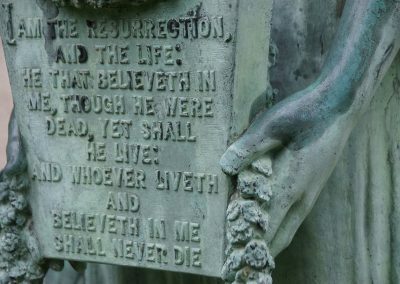 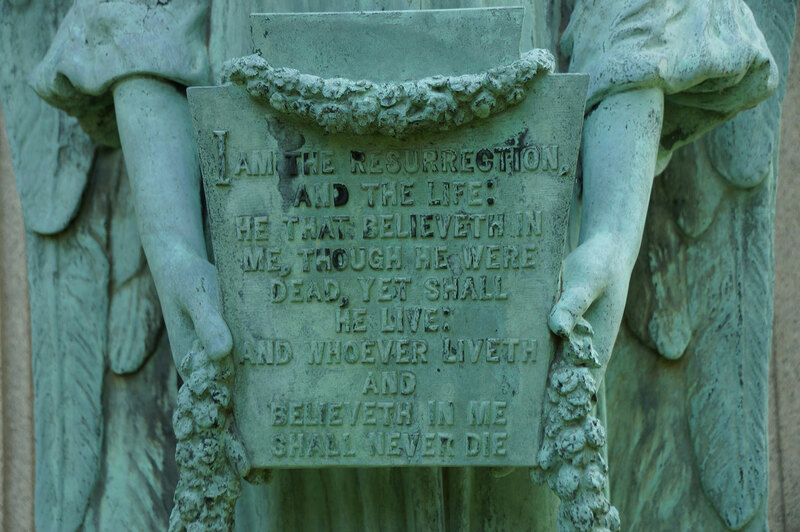 Located at 2405 W. Forest Home Avenue, the cemetery is the final resting place of over 100,000 people, including two of the three founding fathers of Milwaukee – George H. Walker and Byron Kilbourn. 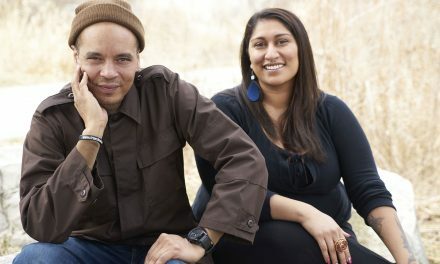 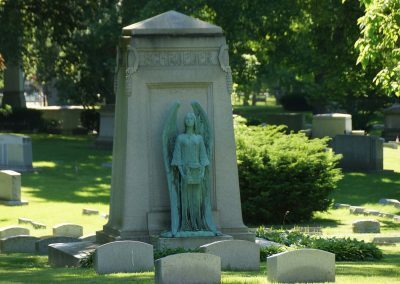 The grounds are just under 200 acres, or a quarter of the size of New York’s Central Park, and the topography remains original to its condition when Native American’s lived on the land. 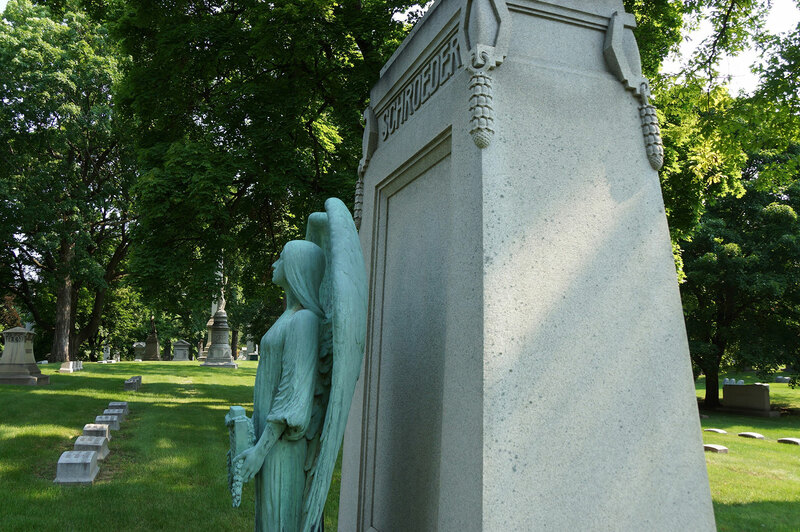 Also taken were a pair of 3 x 6 bronze gates, with a diamond pattern design. An attempt was made to remove the nearby Fitch family’s bronze angel. 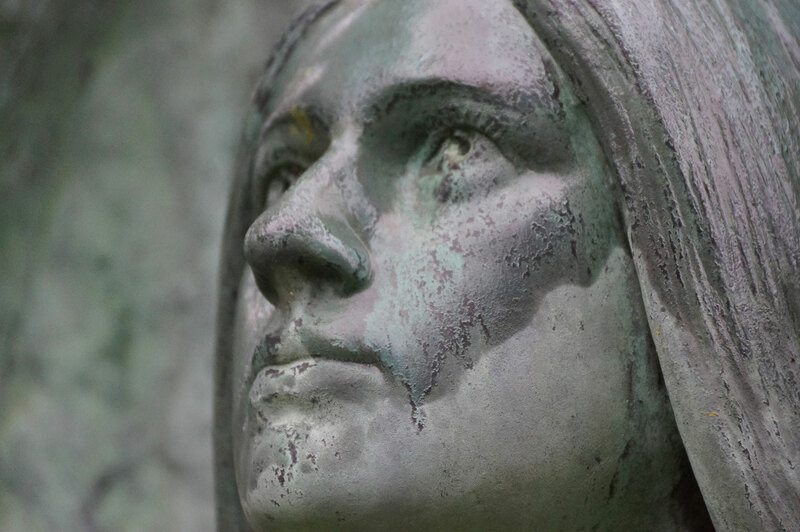 The vandalism of bronze is estimated to be worth tens of thousands of dollars. 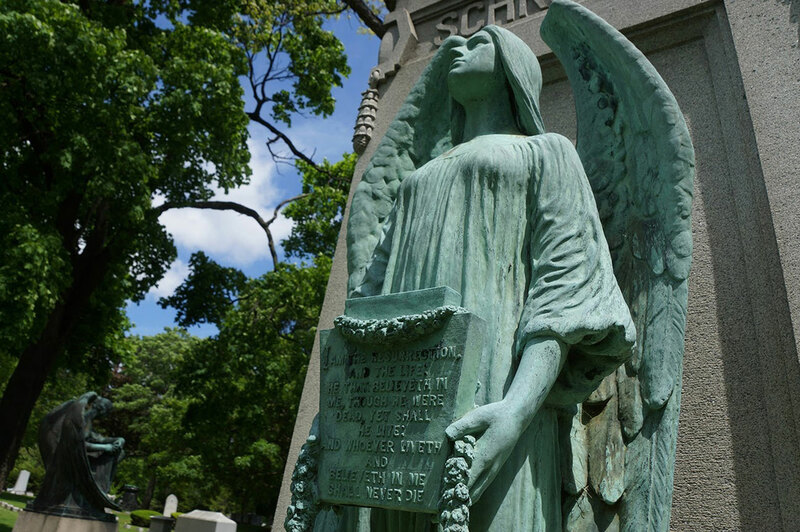 St. Adalbert’s Catholic Church and the Basilica of St. Josaphat, both in close proximity to Forest Home Cemetery, have experienced theft of property recently. 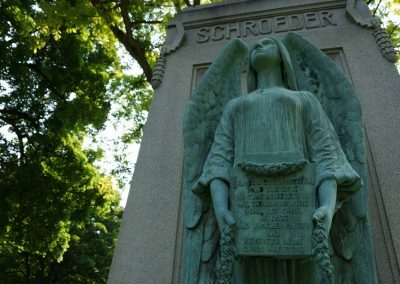 The public is urged to report any information about the Schroeder angel to investigators, who can be reached at 414-935-7221. 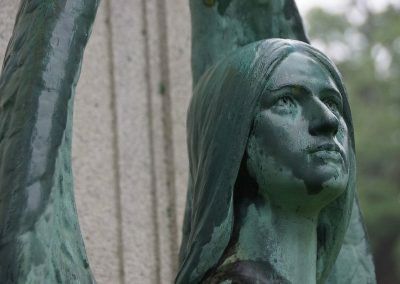 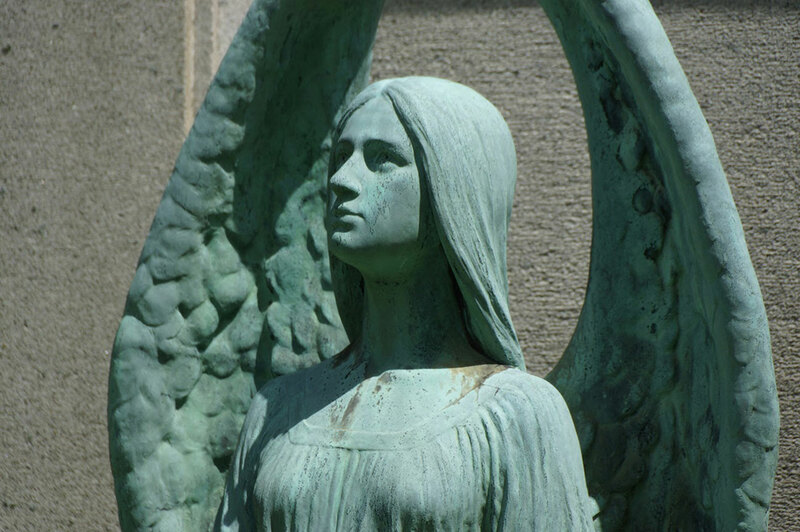 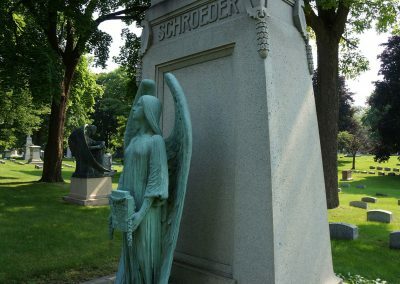 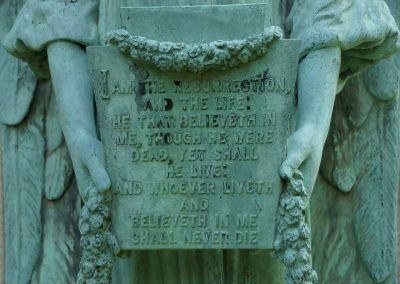 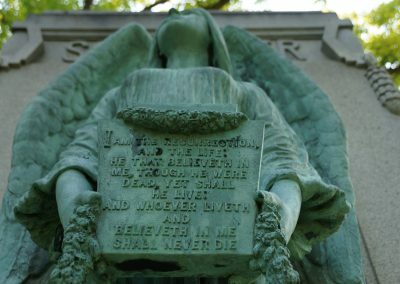 Several historic Milwaukee families at Forest Home Cemetery have landmark angel statues cast in bronze as part of their burial plots. 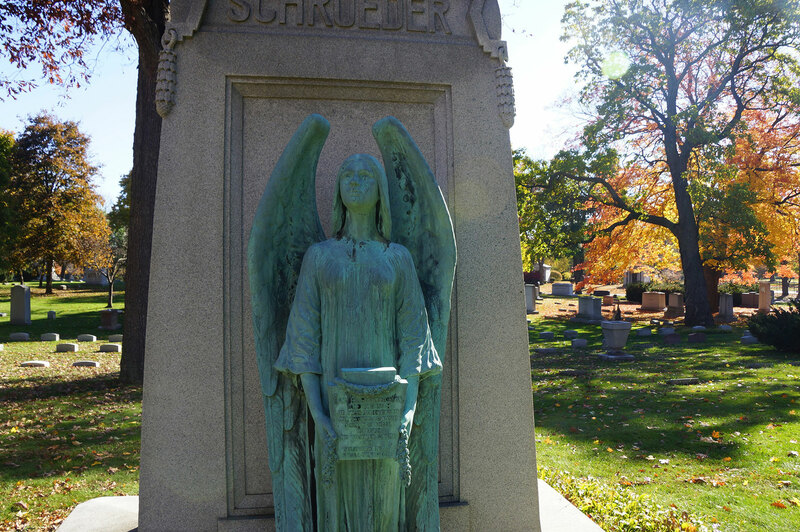 One of the most famous is also within a few yards of the stolen Schroeder angel, the Chapman family’s statue. 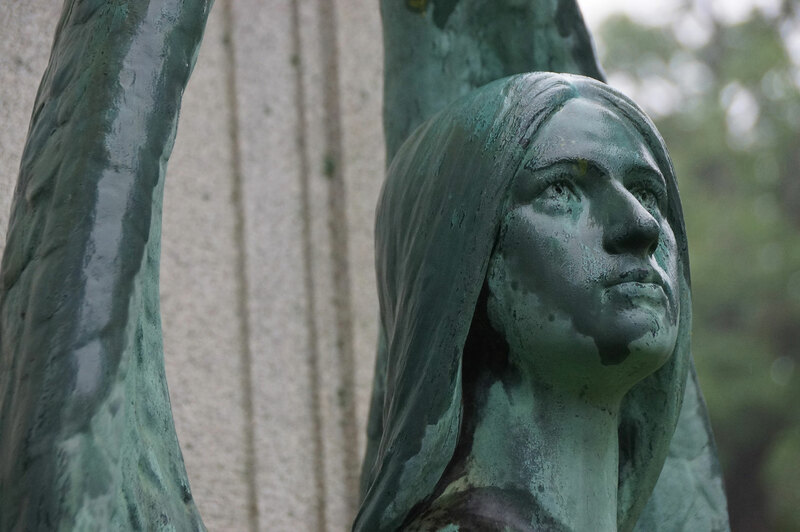 That memorial was sculpted by Daniel Chester French in 1897. 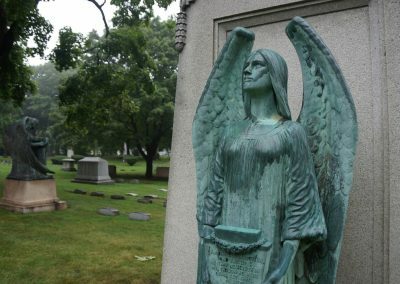 He is the same artist who created the statue of Abraham Lincoln (1920) in the Lincoln Memorial, Washington DC. 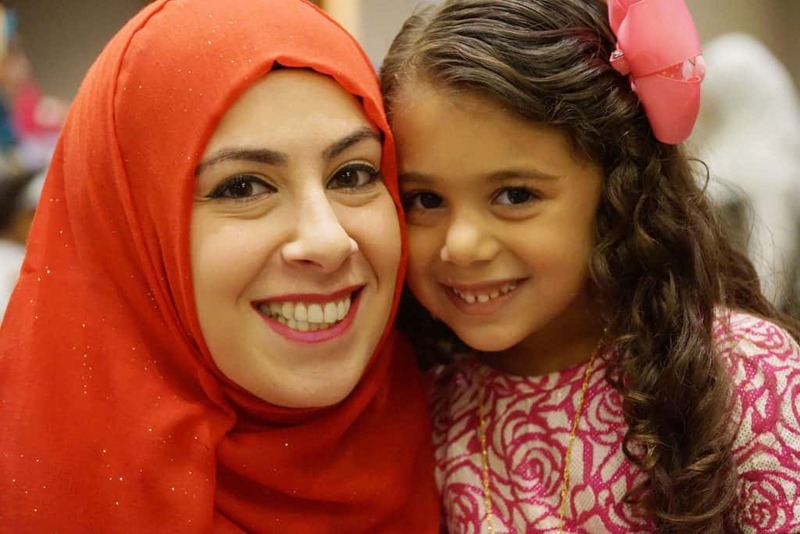 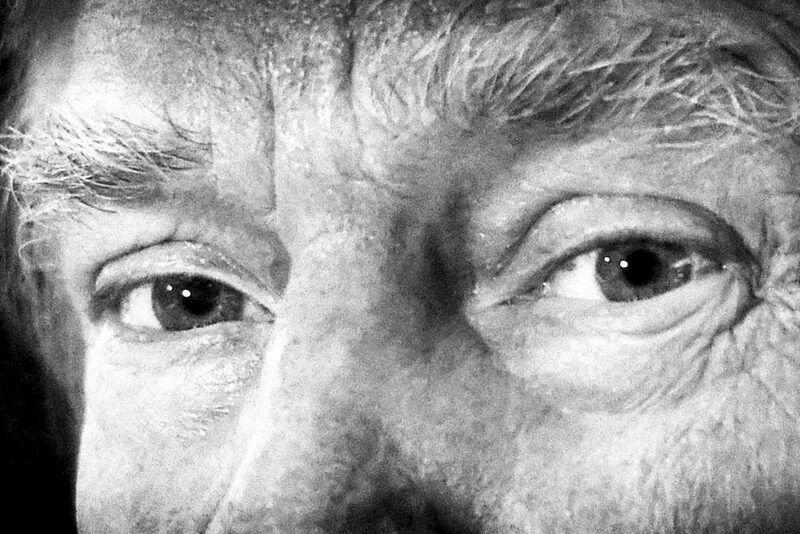 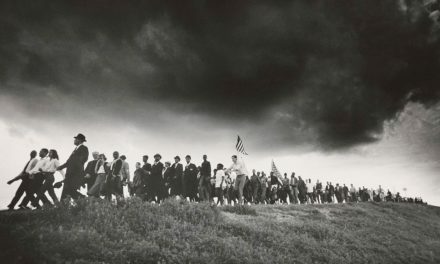 Milwaukee joins coalition for ten-day march from Charlottesville to D.C.